isolation yet is just five minutes' drive from shops and amenities. Le Bonhomme is a former bergerie, reached through vineyards and surrounded by eight hectares of private grounds. We rescued it from a ruin, rebuilding it to a high specification with all new heating, wiring, plumbing and pressurised hot water system. 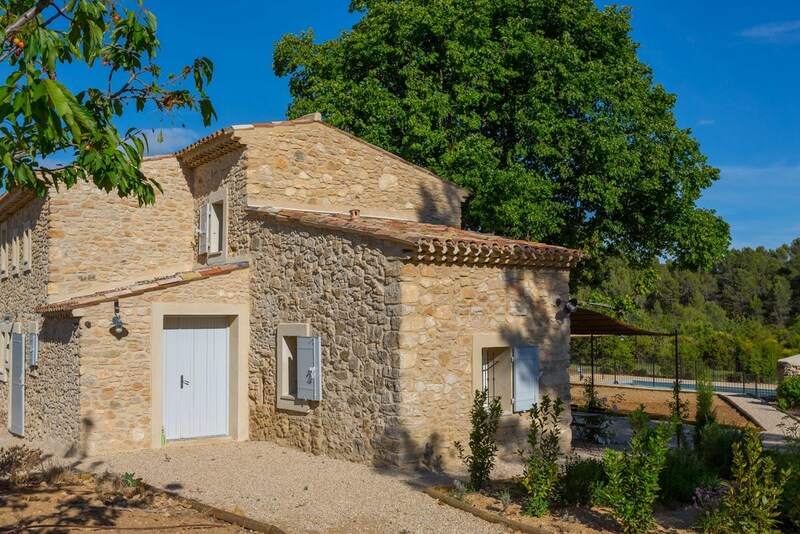 Its traditional Provençal heritage has been retained with timber beams, flagstone flooring and gentle shade from an ancient tilleul tree that keeps the rooms delightfully cool in summer. Central heating and wood burning stove in winter, air conditioning in summer. The house is now recognized as a Batiment Remarquable. With no near neighbours and a brand new fenced and heated swimming pool, the property is a perfect retreat for families with children or groups. We've sought to make our house a place to relax away from the modern world whilst still being connected to it, with comfortable beds, ensuite bathrooms, high-speed Wi-Fi internet, Freesat UK TV, a fully equipped kitchen, BBQ and plenty of places to read a book in the sun or shade or simply enjoy the birdsong. 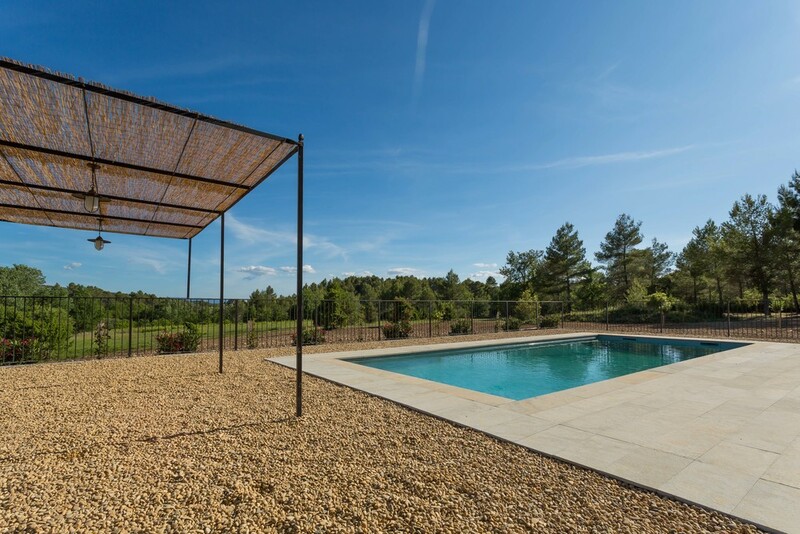 Situated just off a cycle route and many marked walks, surrounded by vineyards and woods, with a view of the hilltop village of Grambois and the Mont Sainte Victoire and a short drive from historic villages, wineries, markets and Aix en Provence, this is the perfect place for a Provençal holiday. Large floodlit boules pitch/parking, private drive and plenty of off road parking. Hall and separate WC and hand basin. Electric central heating throughout and plenty of hot water. Kitchen with double sink, dishwasher, American-style fridge freezer, electric oven, gas hob and microwave. Open-plan living and dining area with sofas, chairs, open fireplace with wood burning stove, dining table and chairs, Wi-Fi internet, TV with UK channels, DVD, Sonos music system. 2 bedrooms on the ground floor, 1 double/twin bedroom with en suite bath/shower and 1 double bedroom with en suite shower. Hall and stairs (with air conditioning unit). First floor utility room with washing machine and dryer. 2 double/twin bedrooms, one with en suite bath/shower and one with en suite shower. Private, heated pool 10 x 4m with terrace, sun loungers, tables and chairs. Wrought iron fence with security gate and covered Provencal style wrought iron pergola with curtains for shade. Pool (salt) with one width-long step, corner steps and coloured LED lights, power, lights, ethernet and wifi. We have equipped the house with young families in mind - 2 x high chairs and 2 x cots, a baby bouncer (BabyBjørn), play mat, bath mat, bath toys, games, balls, baby food processor, microwave, plastic mugs, plates and spoons, bibs, stair gate (top and bottom) and a pool fence to AFNOR standard. Further items may be added so please enquire. Grambois is a ‘village perché’, with an ancient church and attractive village square. At Sannes there is a lake called the Lac de Bonde with restaurants and a beach. La Tour d’Aigues has the ruins of what was the largest renaissance chateau in the area with a museum of the history of the Aigues region. Ansouis is a perfect village perché. The Renaissance château is still lived in but is open to the public. Cucuron is a lovely place for a cool drink by the pond surrounded by trees and cafés. There is an excellent market on Tuesdays. Lourmarin is the most well known of the villages of the Sud Luberon. Its château is open to visitors. There are numerous art galleries and restaurants and elegant shops. There is a lovely market on Fridays. 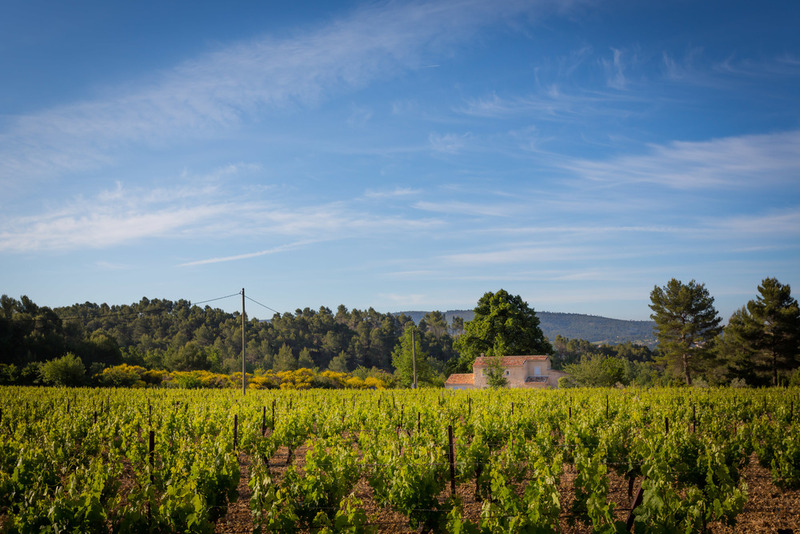 Local vineyards - the last ten years has seen a growth in the creation of individual vineyards, within the Luberon appellation. Several have beautiful ‘châteaux’ or elegant old farmhouses surrounded by their vines. You can buy just a bottle or two to try. To the North is Peter Mayle country. Bonnieux, Ménerbes, Lacoste, Gordes and Roussillon, pretty villages perched on rocky outcrops. Isle sur la Sorgue is the antiques capital of southern France and lies at the western end of the valley. Avignon is an hour away. Visit the palace of the Popes and the famous bridge. 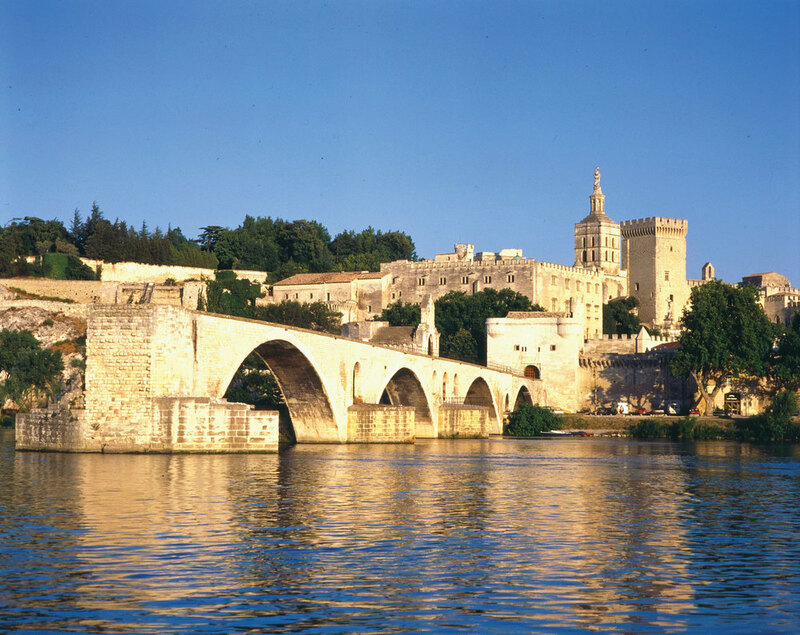 North of Avignon, visit Orange, a beautiful city full of Roman and medieval architecture. Observatoire de Haute-Provence, at St Michel l’Observatoire, has a remarkable selection of telescopes. Mont Ventoux is famous for the Tour de France cycle race. To the south, Aix is about 30 minutes away. There are Provençal markets on Tuesday, Thursday and Saturday. The Cours Mirabeau is lined with cafés. Visit Cezanne’s atelier and the Musée Granet. Also visit the famous Aix Music Festival in July (book in advance). Incredible open air performances by internationally renowned artists. 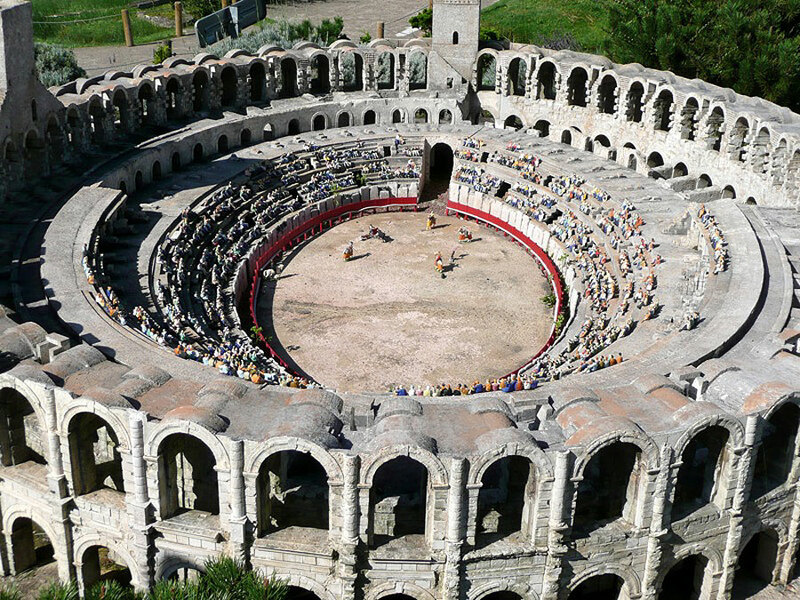 Arles is an hour's drive away by motorway and has an enormous and well preserved amphitheatre. North-East of Grambois, in the Alpes de Haute Provence are the famous Gorges de Verdon. It takes around 1 hour to get to Esparron du Verdon where you will see magnificent gorges with green water coloured by the anthracite rocks. And drive a further 1 hour to the ski slopes of the southern Alps. Visit the Lavender Fields, starting near Manosque around 25 minutes away - normally in full colour in July and August. The Mediterranean coast in an hour or so away - visit the towns of Bandol, Cassis and Sanary to the East of Marseille. Bandol is the easiest to access and parking is usually available by the sea. There is a lovely bay for swimming or you can eat on the main walkway overlooking the sailing boats. There is a small island opposite which you can visit by a little ferry. The Calanques closer to Marseille are worth a visit (by boat from Cassis or Bandol) and there are more attractive beaches to the west of Marseille on the Côte Bleue. Golf - Golfe du Luberon is about 20 mins away at Pierrevert, low key but pretty, or there is the well known Pont Royal designed by Seve Ballesteros or the Aix-Marseilles Country Club. Cycling- There are many good routes. Hire on- or off-road bikes (and electric bikes complete with child seats, hats, locks, pumps, chargers) from www.rentbikescooterluberon.com who will deliver and collect. Tennis - There are tennis courts in La Tour d’Aigues. The price for a one hour game is €10. Visit the courts to talk to the Pro and make arrangements as the courts are locked. Walking - From the house you can join several marked walks or you can explore the paths around our house and there are many walks up into the Luberon hills where you get the most amazing views north and south. Chocoholics - There is a chocolaterie just outside Grambois where an Artisan Patissier works from his home. Icecream - Visit l'Art des Glaciers outside la Tour d'Aigues. 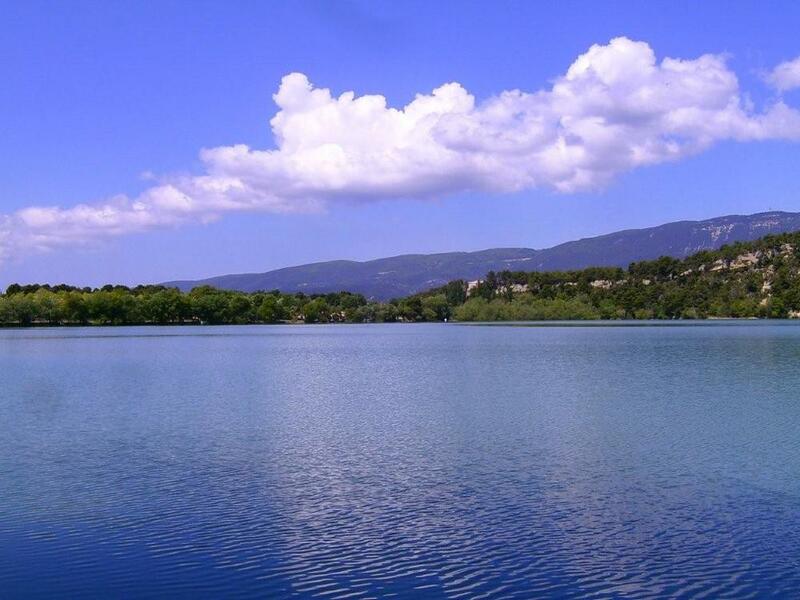 Restaurants - There is an abudance of good restaurants in the area, one particularly good one just 5 minutes drive from the house at Moulin du Pas and a great café/bar (Café du Luberon, Peypin d'Aigues) 20 mins walk from the house. Visit Montfuron (and the restaurant Chez Eric) for a spectacular 20 minute journey by car and an excellent meal. Cinema - The French are passionate about Cinema. There are two cinemas, one in Pertuis called Le Luberon and one in Cucuron called Le Cigalon. 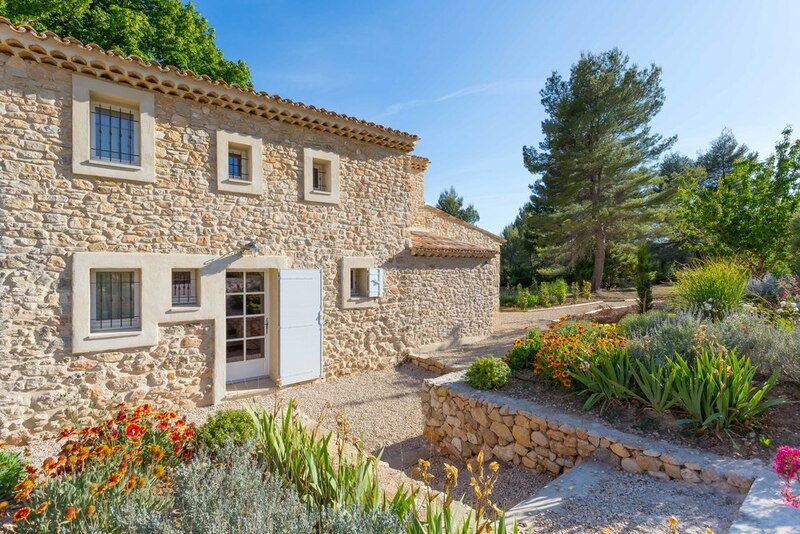 A delightful house which captures the spirit of Provence. We spent as much time as we could soaking up the atmosphere of this haven of tranquility. We much enjoyed the paintings throughout the house. Un véritable coup de coeur! Weather was mixed but plenty to see and do. Beautiful house, beautiful garden and great setting. 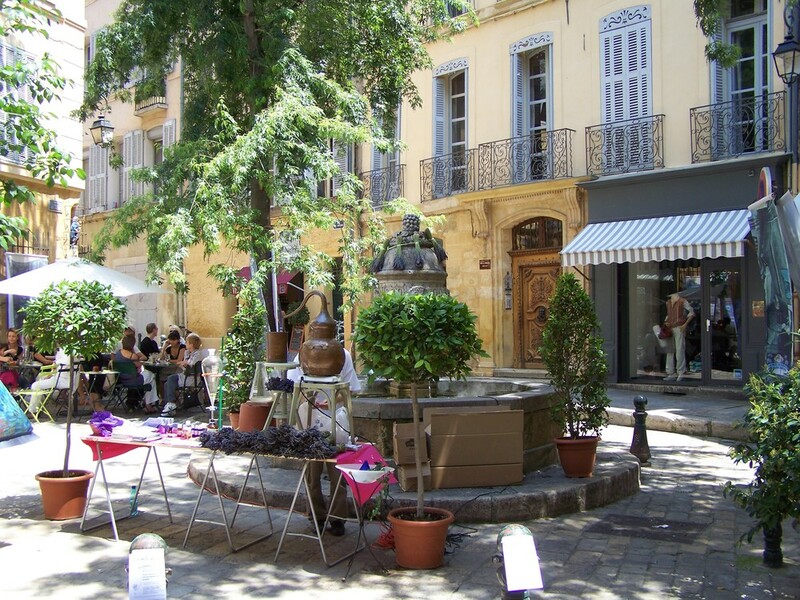 Great location for exploring all the nearby small villages - very unspoilt - and the towns such as Aix en Provence which on market days are so special. One week is not enough. Recommend chez Eric at Montfuron for a wonderful lunch, fantastic views, a lovely village and an excellent drive from Le Bonhomme. We arrived in lashing rain in the dark - family of granny, grandpa, daughter and husband and grandchild (Izzy). We basked in autumnal sunshine and appreciated the heated pool for swims. Izzy loved the tiny snails which weirdly had climbed to the top of grass and shrubs. Loved the herb garden. The market at Lourmarin was beautiful and the town delightful. We were the only people at the Lac du Peyrolles! Granny went on the high spiral slide! Luckily nobody there to hear the screams. This is a beautiful restoration - loved the ensuite bathrooms. Lovely peaceful location. We have had a really good time here, the house was perfect for us and our 18 months old daughter and there was lots of fun in the pool. We haven't tried any of the restaurants advised unfortunately - but tricky with a restless toddler. Lots of cycling though, and we explored most of the local markets, which are great. Thanks for a good time! Thank you for such a wonderful week at Bonhomme. I'm thrilled I've finally earned my cycling jersey, with I was staying longer. What an incredible place! he pool, the view, the peace, the house, the Mistral in late afternoon. We all love it! Thank you for the advice and tips and especially for giving us the opportunity to share in something so wonderful. • The Musée Promenade in Digne les Bains - amazing if you are in to butterflies! As a keen lepidopterist, our son was very excited to see for himself the diversity of moths and butterflies in Provence: he wasn't disappointed! So, so many species in such a small area ... Jeremy Tiger, Spurge Hawk Moth, Striped Grayling, Oak Eggar to name but a few. Must stop now, pétanque and table tennis calling. ps. Strongly recommend Restaurant de l'Auberge des Tilleuls in Moulin du Pas. We had the exceptional €25/head lunch menu with a rather wonderful bottle of Chateau la Dorgonne rosé. We have been coming to Provence for Summer holidays for nearly 30 years now and this villa is up there with the best. It is well equipped and the pools refreshing after a hot day visiting the sights around and enjoying lunches in a variety of local restaurants. The gardens are delightful and the tranquility so relaxing. Thanks to the caretaker for being so helpful and thanks also he the owners for having the courage and vision to take on such a renovation project. We have had a lovely holiday here. The must do's for us were the following! 5. Fabulous walk in the hills above Grambois - could see for miles! A fabulous week. We'd love to come back. Its been such a wonderful week in Bonhomme, filled with adventures: cycle rides, lake swimming, profiterole eating, rosé, too many croissants. Am well rested. Thank you! Another terrific week at Bonhomme. Ventoux Tri luckily cancelled but I made another trip up regardless! Thank you so much for this week in your wonderful house in this beautiful area. We are sad to leave and hope to come back. Fabulous introduction to the Luberon, thank you for giving us the opportunity. Wonderful house, fabulous food, relaxing nights and busy days. We have much enjoyed our stay. We 'did' the Calanques, Cassis, Lourmarin market, still much to do ..... we must return! Thank you for a lovely long weekend break. The Vasarely museum near Aix was fascinating and the ping pong and swimming the perfect antidote to an enjoyable but energetic Luberon 10k. Shame about the rugby! Hope to return to this lovely spot next year. A brilliant week of the Calanques, Gorges du Verdon (1hr by car or 2hrs 30 on bike, definitely recommend) and making it to the top of the Vitrolles hills in 21'03" - time to retire! Love the paths through the woods - plenty of wood for the winter. Our first biking holiday in the Luberon - or should I say e-biking (I don't think we would have got anything like as far without the batteries!) The children have never been so quiet for so long as when we were riding along those amazingly tranquil roads to Ansouis. Thank you for letting us use your wonderful house. A restful and restorative two weeks at beautiful le Bonhomme. Thank you for all the wonderful suggestions in your house book - we used it every day with great results. Thanks so much for letting us see your lovely house. I can't think of a better way to spend a week in August than swimming, eating great food and enjoying ourselves. Try the market on Sunday! A very restorative week after GCSEs and A levels and a new job. We have the inky blackness of the nights and the unbroken blue skies by day. 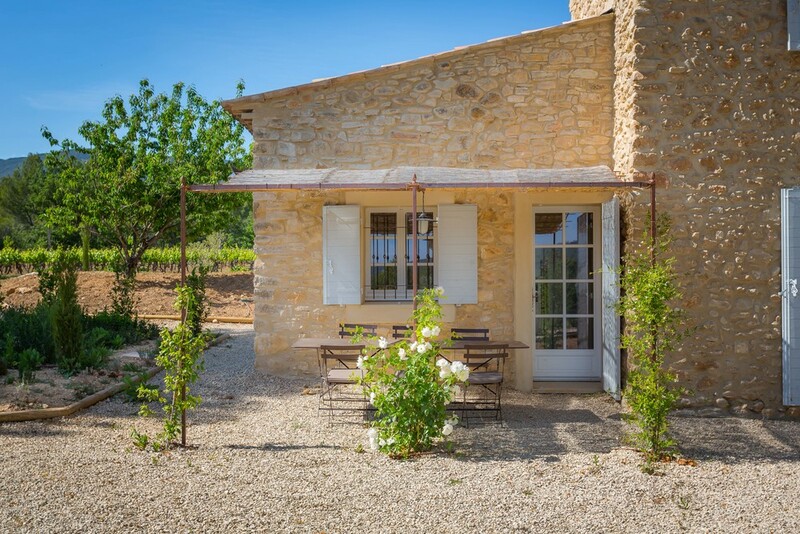 Thank you for sharing this gorgeous house in this delightful part of Provence. A wonderful week of peace, tranquility and sunshine in this lovely house and a beautiful setting. We have enjoyed the pool very much and visiting Grambois and other local villages. Thank you for another wonderful time here. Stunning weather, delicious bbqs and trop de vin! A bientôt. A splendid few days in a beautiful house! Now I know where Provence is! My husband is a high strung business man from the US East Coast. Being here allowed him for the first time in years to relax - what else can I say? Thank you for letting us use your awesome vacation home. Blessings. Days of French sun, good friends, fabulous food, wonderful views, what more could you wish for? Thank you for introducing us to Provence. Spectacular weather, stunning scenery, exquisite food and such good fellowship, merci beaucoup! We have had a fabulous holiday at this wondrous venue. Our grandchildren are already hoarding euros in anticipation of a repeat visit next year. 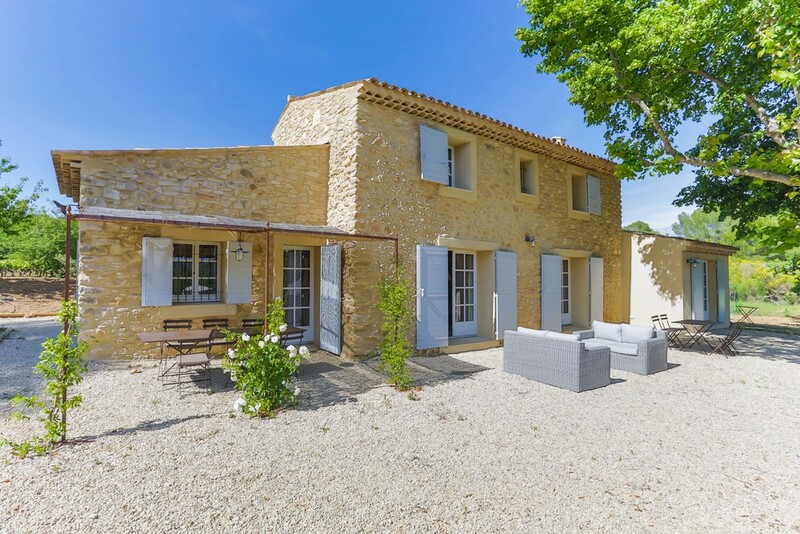 I can"t imagine a better equipped French country home that possesses the intimate charm and privacy that this home affords in a location that makes it easy to explore Provence. A wonderful experience that we hope to enjoy again next year. We booked this house as a last minute getaway before the school holidays started, and so weren't too sure about how great it would be. We needn't have worried, it was absolutely perfect for us in every way. Firstly, the location. It is set on a hillside amongst the vineyards, with olive trees growing in the gardens. You can literally see no other house from the house, and no one can see you, you have complete and utter privacy. To the back of the house are gorgeous views of the mountain, to the front are the hillsides with the village perche of Grambois, a breathtaking view. Although there is only one restaurant that is walkable to (we drove, it was hot) there are hundreds of others in the surrounding villages, each better than the last. The thing that we loved so much about this area is that it feels like authentic Provence. Despite it being July there just weren't tourists in the towns nearby, we felt like the only tourists for miles. The house itself is laid out with two bedrooms upstairs, two down, sleeping eight in total. Each room has its own bathroom, so this was perfect for us. I have to be honest, we are fussy, fussy people, and this house exceeded our standards. 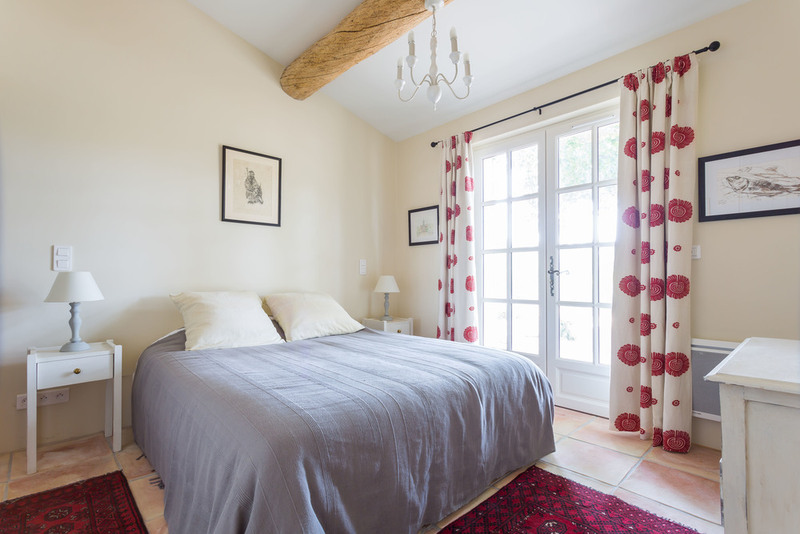 It's an authentic Provence farmhouse but it's been recently renovated and they have done a magnificent job. 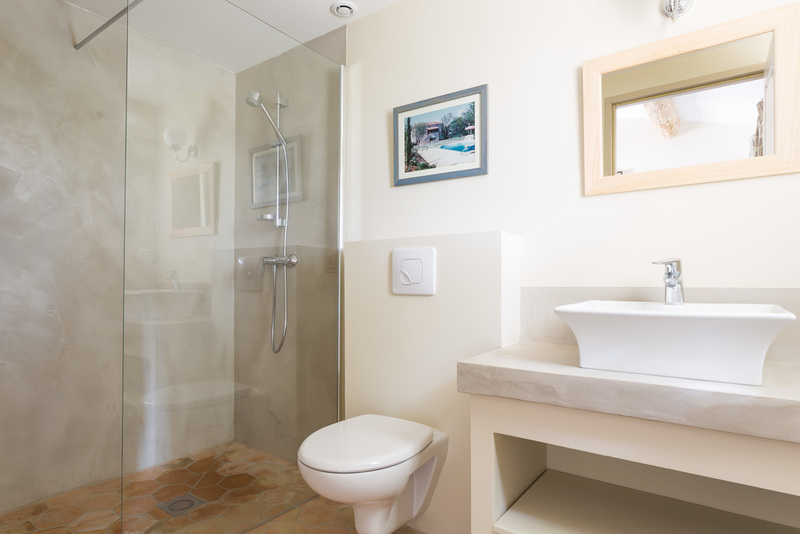 The decor is the perfect balance of modern convenience (wifi, sonos, amazing showers) but all in a beautiful authentic Provencal style. It's also amazingly well equipped- I'm not sure if the owners lived here at one time as we found nothing missing that you would need. The pool is fabulous and fully fenced. This actually didn't matter to us as my children are older, but might be important to younger families. There is a shaded gazebo area next to it, and you need this to be honest, in July it was too hot to lie out in the sun. I suppose the only downside to the house would be that there is no beach in close proximity. To be honest, we were perfectly happy by the pool, and wandering around the beautiful Provencal towns. I think the beaches are about an hour or so away if you want to make a day of it, but in high summer I just didn't fancy fighting for towel space. In summary this house was simply perfect for a restful, relaxing family holiday, and the beauty of the local area with its castles and tiny hilltop villages is breathtaking. I had no idea it would be so wonderful. The house has been recently refurbished - it's been tastefully done, and your stay will be very comfortable. The pool (which has a child-safe fence and gate) uses salt rather than chlorine, which I think is much nicer. You get to the house via a track through a vineyard - it's an idyllic and especially quiet spot. This is a less travelled-to area of Provence - it feels very much 'alive', with the local (excellent) restaurants and bars full of locals. 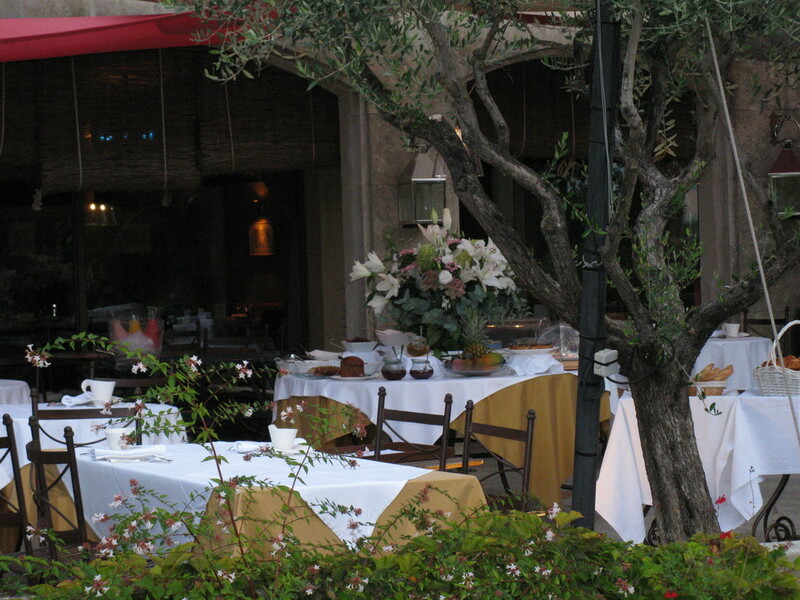 Make sure you visit Cafe de Luberon. This is a lovely newly refurbished house in a private setting. There are all the facilities you could want, such as a petanque area and a bbq. It is in a fantastic location for walking, cycling and wine tasting, but equally you could happily just sit by the pool! Having spent a long weekend at Bonhomme I was feeling both fully relaxed and fully refreshed. The location is unique, the pool a delight (this is a pun you will understand if you see it in the dark) and the house is excellently equipped. You will also find the surrounding area most charming with excellent walks and rides to do. Finally it is less than an hour from the airport which was really convenient. It is a great spot. We rented this villa at the end of May 2014 and had an excellent stay. 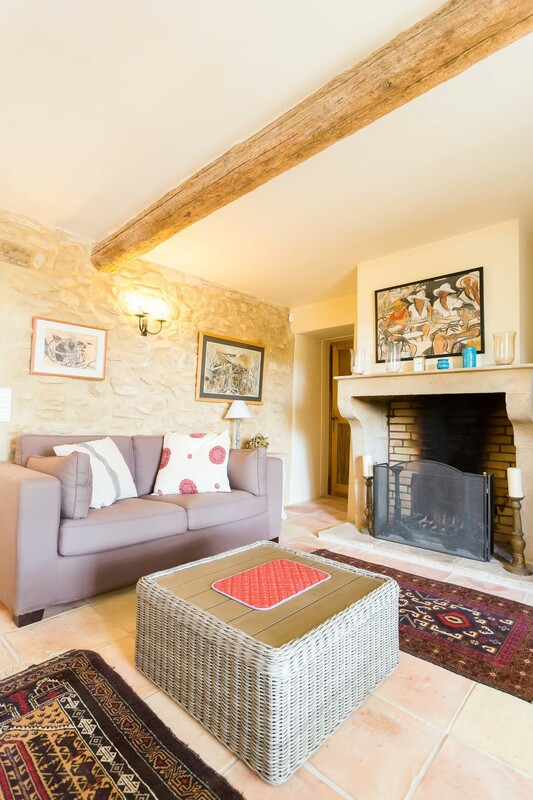 The house was impeccably presented, every detail had been thought through thoroughly by the owners and made for a very comfortable and enjoyable experience. The house itself is obviously brand newly refurbished to a high spec and we loved the owner's style which came out in every detail. We travelled with our 3 small children and the set up was very child friendly, no dangerous drops, roads etc and a fence around the pool was welcome! The setting was perfect too, totally isolated, not a neighbour in sight or earshot, but within 5 mins in the car you could get all your essentials and eat in some amazing restaurants too. Arrival and departure logistics were easy, and Liz was very attentive to the few questions we did have during our stay. We definitely hope to return one day, thanks for a great stay. The house is available for rent all year round - Central heating and woodburning stove for winter bookings. Air-conditioning in the living area in the summer. Prior to booking we will send you a booking form with rental conditions. Once you are happy with everything you may pay your deposit and balance by credit/debit card or bank transfer in £ sterling. Terms: Deposit 30%, remainder due 6 weeks prior to travel. Breakages deposit £500, returned after 2 weeks or sooner. Rental agreement on reverse of booking form. Maps and directions sent after receipt of deposit and booking form. Linen, towels and pool towels provided and included in prices. Cleaning and laundry included. Mid stay clean €20 per hour payable locally and laundry €30 per set. We reserve the right to deduct from the breakages deposit if the house is not left in a tidy and clean state. Pool open and heated from May to September (outside this time there is a supplement for pool heating). Central heating and firewood included October to April. If Central heating, firewood and pool heating are required at the same time, a supplement will apply. Catering available, menu and prices on request. PLEASE NOTE THAT WE STRONGLY ADVISE TAKING OUT A COMPREHENSIVE TRAVEL INSURANCE TO COVER CANCELLATION. If you have to cancel you are still under contract to pay the full amount due. However if we are able to relet the property we shall refund you the amount of the replacement booking, less any costs incurred.